Portfolios are standard issue for front line fundraisers. When paired with intentional goals and performance metrics, portfolios can launch a gift officer deep into meaningful cultivation, solicitation and stewardship cycles with prospects and donors. But what about development that doesn’t fit the traditional major gifts model? Can portfolios work there? Should they? Some suggest that portfolios aren't effective in areas like annual fund development, volunteer engagement or alumni relations. In a small shop like mine, we often have to adapt best practices to get the most out of our resources. In my experience, a portfolio can be adapted for many functions if one can match the desired outcomes of the job with appropriate goals and metrics. I consider portfolios to be a goal-related tool. With appropriate parameters, a portfolio can be adapted to almost any function. Three years ago, Brock Silvey’s weighted metrics methodology came across my desk. I was immediately intrigued by its potential to empower a gift officer to pursue meaningful relationships and be evaluated based on the factors over which they had control, such as new asks and qualifications. The weighted metric system (see below) allows gift officers to have individualized goals while still being evaluated on the same playing field: percentage of goal attained. The ability to compare performance across different goals and functions opened a new door for portfolio management. If major gift officers could have different goals within a portfolio system, why couldn’t alumni relations or volunteer management? We first applied weighted metrics with traditional major gift portfolios. Goals were developed in direct coordination with gift officers (Table 1) and set with an understanding that each of these key metrics would be weighted according to its value to the division (Table 2). We were able to evaluate percentage of goal attained throughout the year and assign a point value (Table 3). Why a Portfolio for Non-Traditional Staff? Unite development staff behind shared mission, goals and outcomes. Staff who have received a “non-traditional” portfolio in our office have reported that it really helps them engage better with fundraising goals in the rest of the division. Foster intentional, comprehensive strategy for prospect development and moves management. Volunteers and annual donors are a critical piece in the major gifts effort, and crafting portfolios for the bottom end of the donor pyramid provides clarity for the whole pyramid. Economize staff time and resources with improved prioritization. Non-traditional portfolios provide focus to other functions in development that have relational elements, enabling better time management and providing a method of evaluating outcomes. Equalize control of the process, outcomes and explanation for staff. Future portfolio managers must be engaged in dissecting desired outcomes, possible goals and key performance indicators (KPIs). Our shop manages 11 portfolios, three to five of which would likely be considered “non-traditional” (Table 4). Evaluate desired outcomes and determine viability. Portfolios take a considerable effort and commitment. Before we begin the process of creating a new portfolio for a staff member or function, we ask specific questions to evaluate (A) if the portfolio is the most viable option for desired outcomes and (B) if a portfolio is practical. What is the function in question? It is important to distill the essence and purpose of the prospective portfolio manager’s job. Is the function already effectively evaluated by macro-level program metrics? (see When to use Non-Traditional Portfolios). Existing KPIs that are easily understood at the staff level? A target group of constituent records for relational development? Viable data points to pull reports and evaluate moves management? E.g., it would be difficult to create a viable portfolio for volunteer development without the ability to record volunteer-related data for each individual. Buy-in of staff and executive leadership? Crafting a new portfolio is challenging and requires buy-in at all levels as well as the willingness to hold feet to the fire. Evaluate preparedness of prospect development staff. Can you sustain the maintenance for a new portfolio? Remember, this is not just a fundraising portfolio with a major gift officer running the show. This could be a portfolio for an alumni relations staff member who has program responsibilities in addition to a portfolio and will need training on what is expected. Are you ready to evaluate the effectiveness of the portfolio in the long run? The first year will require extra attention at monthly and quarterly check-ins. In addition, attention needs to be paid to early trends to help revise yearly goals and be able to appropriately adjust KPIs in the following fiscal years. Design portfolio and prepare new portfolio manager. If the questions above can be answered satisfactorily, then you are ready to get crafting. The following steps are generalized to provide the best possible picture of what it looks like to create a non-traditional portfolio. However, there may be additional steps at each of these levels depending on the clarity of function, the functionality of your database and your internal team dynamics. Create benchmark goals for year one. Be sure to include key goals for weighted metrics as well as customizable “bonus” goals that are specific to the function in question. Brief the new portfolio manager for what it means to have the privilege and responsibility of a portfolio. This may mean a great deal of training. When designing the Alumni and Parent Engagement Portfolios and the Volunteer Engagement portfolio, we determined that the metric of most value was qualifications over proposals. This is the inverse of the weighted metrics used in traditional portfolios. As a result, we “flipped” the hierarchy and weighted values for these non-traditional portfolios (Table 5). This effectively means that the Volunteer Coordinator is given the same level of credit for completing a qualification as a Major Gift officer is given for an awarded proposal (Table 6). We noted that qualifying new volunteers (or donors) is as important to the volunteer coordinator’s job as awarded proposals are to a major gift officer’s. Thus, each portfolio manager is being evaluated equally on their achievements related to the function of their job. Our portfolio staff can now note their accomplishments related to personalized, function-related goals instead of vague macro data points. Portfolios can be a great tool for prospect development staff to encourage teamwork, prioritize key relationships and outcomes in program-heavy departments, foster the development prospect pool, and provide accountability. When paired with appropriate goals and metrics, their uses are endless and the effects can be phenomenal. In addition, using a performance evaluation system like weighted metrics allows the portfolio managers to see themselves as a team working for common purpose, even though in different functions. 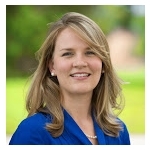 Clara Lutz is the director of prospect development at Cedarville University in Southwest Ohio. After working in the high-energy fields of politics, international relations and event planning, she transferred her analytic skill set to the field of higher education advancement. For the last five years, she has created and grown a prospect development program from the ground up at Cedarville University. In addition to managing the prospect research, prospect management, grant management and data analytics for the advancement team, she enjoys engaging with like-minded professionals and sharing best practices. Clara has presented at Apra's Prospect Development conference as well as being featured in an Apra NYU chapter newsletter. Looking for more around portfolio planning and metrics? Register for Plug In to Relationship Management. Don't miss an Apra Twitter Chat on July 17 focused on small shops, along with its follow-up webinar. And check out the Prospect Development 2018 program for a variety of small-shop-focused sessions.